Easter is my second favorite holiday, and I'm really excited for this weekend. My family will be celebrating all week with treats and special activities, and Spring Break starts on my birthday on Thursday. It's going to be a fun week! Every holiday, I make special treat bags for my kids. They all love them, but Lexie is the one who looks forward to them the most. She loves to open her lunchbox and find something special waiting inside! As a mom of four, I don't have much time, so whatever I make has to be quick and easy. 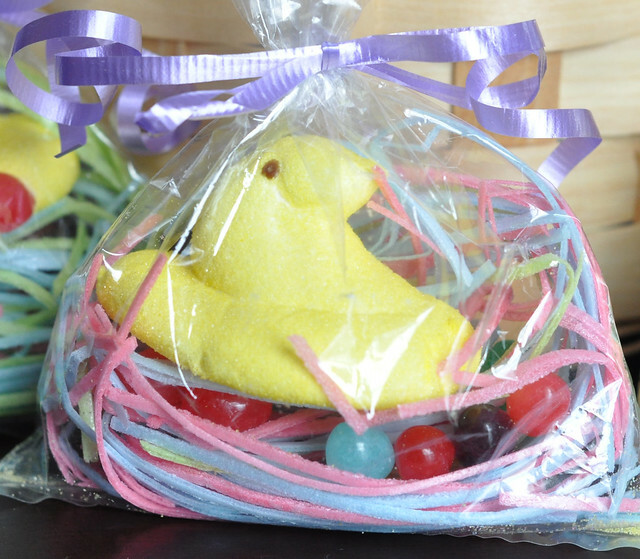 I came up with these Easter Nest treat bags last Easter, and they were a big hit! They are super easy, super quick, and inexpensive. I'm sure there are a million variations floating around on Pinterest, but this is the one my kids love! These treat bags are so easy to make! The first step is making a small nest using the Edible Easter Grass, then stuffing the nest into the bottom of a cellophane treat bag. I cut a 6 inch strip off the Easter Grass, add more if needed, then curl it into a nest before stuffing it into the treat bag. Each bag of Edible Easter Grass makes 8-12 small nests or 6-8 larger nests. 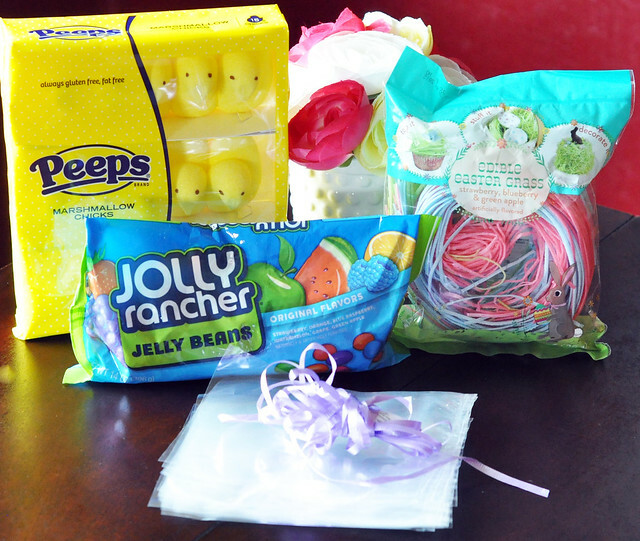 After the nests are in the bags, place a small handful of jelly beans on top of each nest, and top with a Peeps chick. 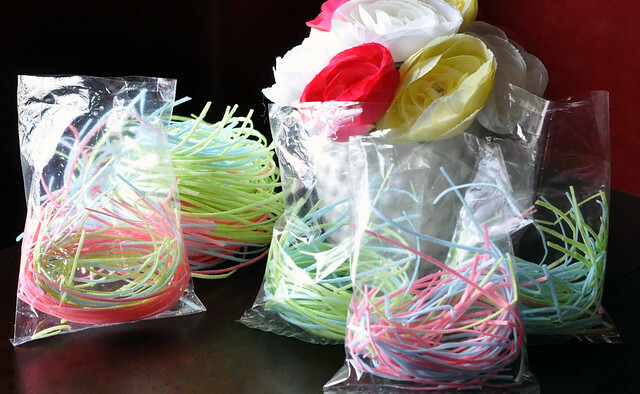 Cut a piece of curling ribbon, tie the top of the bag, and use the scissors to curl the ends of the ribbon. DONE! My kids love these so much! I, personally, love to eat the leftovers. You know, as a reward for all that hard work! Enjoy! I had no idea that edible Easter grass was even a thing....and I need some in my life right now. These treat bags are adorable. Totally pinning this on my Spring Pinterest board! Thank you! I found it at Target. 3 for $5! Those look great! I might borrow your idea to make something for our kids for Easter morning (no edible grass here though... time to brainstorm). Aaaahhh!!!! So cute and SO easy, love them! Thank you! They are really easy to make! These turned out very cute!